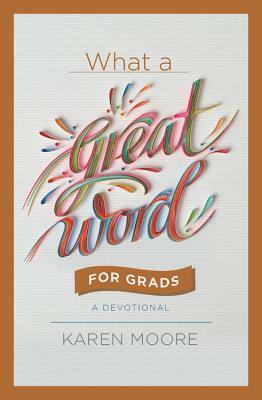 What a Great Word for Grads is the perfect devotional gift for your grad! It has inspiring thoughts, quotes, prayers and scriptures to encourage your graduate, who is pursuit of a new opportunity and transition in life. Graduates will be encouraged as they get a new perspective on God's word as it applies to their seasons of graduation. This book will offer them hope and inspiration in their next steps! This little devotional is perfect for their laptop bag to take to the library or their bag to go to work. It is small enough, but packed filled with truth. I highly recommend this devotional! 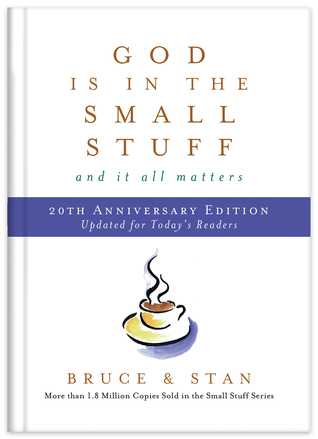 God Is in the Small Stuff 20th Anniversary Edition by Bruce Bickel & Stan Jantz is a great little book! This book has awesome wisdom for being such a small book. Each section can be read in about 5-10 minutes with says, inspiration and wisdom to you daily walk with the Lord. I have highlighted many of the pages and quotes because it is very inspiring, but also I know this is things I want to remember. I recommend reading this as a devotional to soak it all in. This is one of those books that you will read in different seasons of life, so perfect to keep on the shelf. *I received a complimentary copy of this book from Barbour Publishing and was under no obligation to post a review. What a Great Word for Moms is a devotional perfect for moms! This devotional is a great gift idea for the mom in your life or someone who acts as a mother figure in your life. It is a book filled with encouraging and inspiring words to encourage the mom in your life. Readers will receive a fresh word from God as it applies to being a mom. 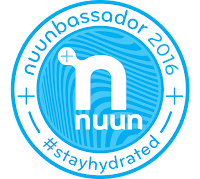 It offers a word of encouragement, no matter the season. I highly recommend this book! Your mom will love it. A well-written book by a daughter & mom team that you will love! Helen and Blythe (mom and daughter) do an excellent job in Mended sharing life-lessons throughout the book by alternating throughout the book. It has a beautiful, authentic element as it is co-written and add depth to the mother/daughter conversation that other books cannot even explore. I love hearing the conversations between the two of them about how they've each had to trust God in similar parenting situations, motherhood and being daughters of the King. I love their conversations with one another and the reader. Both Helen and Blythe offer encouragement to the reader, but also freedom to those who have experienced hurt and pain in relationship. They offer hope to the reader who might have expectations that need to be realigned and healing for the relationships to be restore. Forgiveness is a huge part of mended. This book is a great read. I highly recommend this book. It is one you are not able to put down. It is a great book. 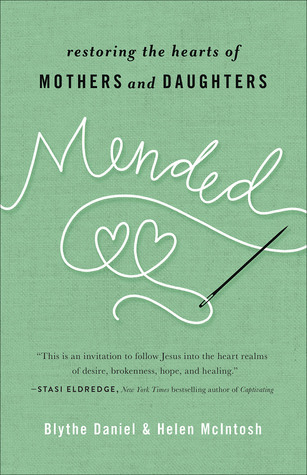 This is a great read for mothers and daughters, especially with Mother's Day around the corner. "Am I making a difference?" "Can I accomplish meaningful things despite the mistakes I've made?" "How can I know God's purpose for me?" As the true stories in Exceedingly demonstrate, whether famous or entirely unknown, we all struggle to find significance in our lives. But the truth is that each one of us has a special reason for being right here, right now--and we can discover exactly what that is. Anita Agers-Brooks walks through simple yet powerful strategies, skills, and exercises to do just that. Through practical application and inspiration from people like the late country music star Troy Gentry, readers will identify and hone their natural traits, raw talents, and untapped abilities. Uncovering our purpose doesn't require big personalities, perfect lives, or an issue-free past. We only have to make the effort to learn to see ourselves as God does and fulfill the personal purpose we were made for. 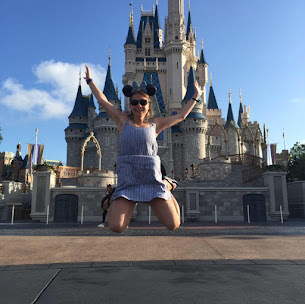 Seekers who engage with Anita will find their quest leads to one amazing conclusion: if they unearth what they've been given and dare to believe, their Maker will do exceedingly, abundantly more with their lives than they've ever imagined. Ephesians 3:20 is the verse that the Lord gave my husband this year, so Exceedingly has been the perfect book to read. 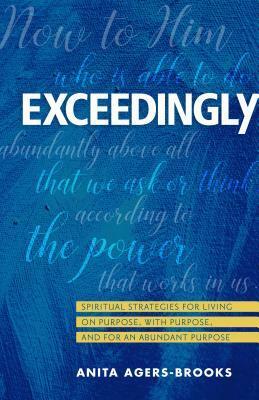 This book is packed with spiritual truths that help all believers firm their purpose in faith and in life. I enjoyed the chapter on it is important to play. In a life that is busy, stressed out and full, we so often don't take the time to relax and play, but we need to. We need to take the time to spend time giggling, dreaming and enjoying the simple things in life. While this book appears small, it is packed full of good wisdom and truth. I found this book to be incredibly helpful and one that I will read in different seasons. I love that it hits Ephesians 3:20 and it has spoken so much truth to me. I cannot wait for my husband to read it! I highly recommend it! Anita Brooks motivates others to dynamic break-throughs. Blending mind, heart, and spirit, as an Inspirational Business/Life Coach, International Speaker, and Common Trauma Expert. Anita is also an award-winning author. 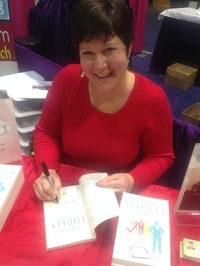 Her titles include Amazon best seller: Getting Through What You Can’t Get Over, Barbour Publishing, First Hired, Last Fired — How to Become Irreplaceable in Any Job Market, Leafwood Publishing, Death Defied-Life Defined: A Miracle Man's Memoir, and contributor to The Change: Insights Into Self Empowerment Book #4. Her books are available at major and independent bookstores, Amazon, plus several online retailers.